Are you running out of office space for your documents, but don’t know where else to store them? You need a solution that’s reliable, secure and affordable. In this blog, we review the top reasons to store your documents offsite in a records center. Don’t underestimate physical threats to your documents. If confidential contracts, client records or patient charts are lost or stolen, your company could face exorbitant fines and legal costs. 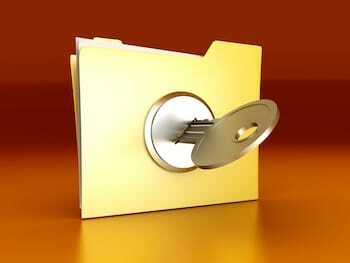 Storing documents in a records center prevents unauthorized access to sensitive documents and files. Unlike a self-storage facility that’s open to the public, access to a records center is limited to thoroughly-vetted records management professionals. Every visitor is required to sign a confidentiality agreement before being allowed inside and granted only limited, supervised access. The inside and outside of the facility are continuously monitored with surveillance systems. A records center offers unparalleled protection for your business documents. Paper records, fires, and floods simply don’t mix. That’s why disaster recovery experts recommend storing vital business documents in a secure, offsite location. A records center constructed with solid concrete floors, walls and ceilings offers far better disaster protection than a self-storage facility built with corrugated material walls. And unlike self storage, no flammable or combustible items are stored in a records center; only paper documents and files. If extreme weather or a natural disaster hits, you have peace of mind knowing your documents are protected. Keeping your storage costs at a minimum is essential. With self storage, your bill stays the same whether you fill your unit or not. In a records center, your storage costs are directly proportional to the amount of space your documents occupy. Specialized racking systems maximize storage density and keep your storage costs low. Besides protecting your documents from theft and disasters, offsite records storage helps you manage your files more efficiently. Your boxes are bar coded ,and the retention information and details of each box and file is added to a records management database. A tracking system ensures your files can be located instantly, and a secure, web-based application offers 24/7 online access to your inventory so you can view file details and schedule pickups and deliveries. As you can see, a records center offers affordable, secure offsite storage needs. DeVries Business Services proudly serves businesses in Spokane, Eastern Washington and Northern Idaho. To learn more about our records storage services, please contact us by phone or complete the form on this page.